The third generation has become the R&D hotspot of the giants. How Hot is the Third-generation EGFR-TKI? Osimertinib has been approved in more than 80 countries including the U.S., EU, Japan, and China as a second-line therapy for patients with T790M resistance mutation NSCLC; and it has been approved in more than 60 countries as a first-line therapy since Apr. 2018, and it is expected to be approved in China in the first half of 2019. Osimertinib has emerged in the competition with each generation of TKI and its sales have rapidly grown, owing to the differentiation competitive advantage in T790M resistance mutation and outstanding clinical efficacy. Global sales of osimertinib reached USD 1.86 billion in 2018, growing by 95%; it has become the best-selling tumor drug of AstraZeneca and the drug with the second highest sales thereof, and it may become the best-selling drug of AstraZeneca in 2019, which is mainly because of its ascending into a first-line therapy and deeper penetration into more markets as a second-line therapy. 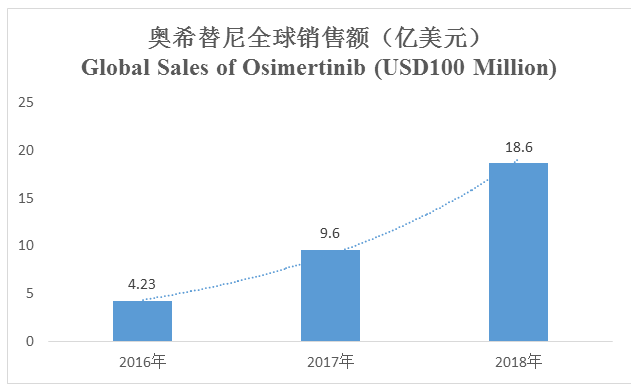 Osimertinib’s sales reached RMB 1.85 billion in the first three quarters of 2018 in China, and its sales of the year approached RMB 2 billion. 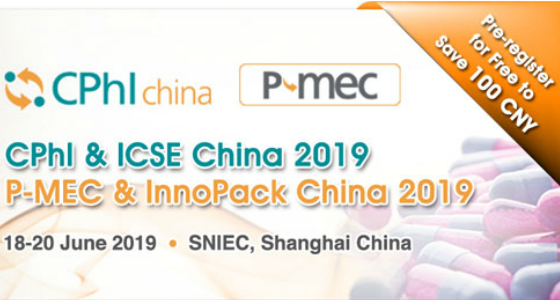 Osimertinib has been included into Category B varieties of medical insurance in China in Oct. 2018, with the medical insurance payment standard of RMB 510 (80mg/tablet) and RMB 300 (40mg/tablet), and restricted coverage of adult patients with EGFR T790M mutation-positive locally advanced or metastatic NSCLC, as detected by test, who have progressed on or after EGFR-TKI therapy.